Laquan McDonald: Chicago police shooting involving officer who fired 16 shots at 17-year-old will result in a first-degree murder charge. 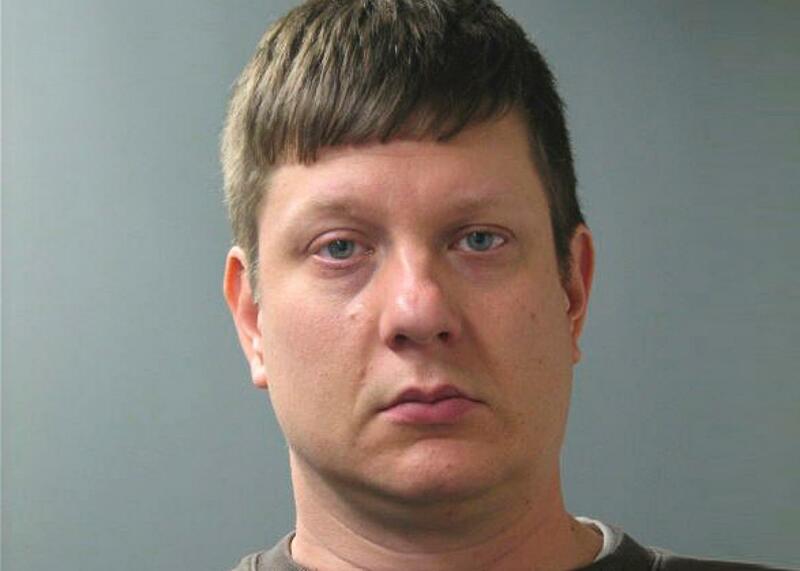 Officer Jason Van Dyke was caught on video shooting 17-year-old Laquan McDonald 16 times. Chicago police officer Jason Van Dyke is seen in an undated picture released by the Cook County State’s Attorney’s Office in Chicago, Illinois. Update, 12:10 p.m.: Chicago police officer Jason Van Dyke has been charged with first-degree murder in the death of 17-year-old Laquan McDonald, Cook County State’s Attorney Anita Alvarez announced on Tuesday. Van Dyke is scheduled to have a bond hearing Tuesday afternoon after turning himself in to authorities. The Chicago Tribune reports that the officer walked briskly into the courthouse with his hands in his jeans pockets and his eyes looking straight ahead and did not answer questions from reporters. Van Dyke would face at least 20 years in prison if he is convicted on the first-degree murder charge. Video footage of Van Dyke jumping out of his squad car and shooting McDonald will be released by Wednesday, in accordance with a ruling handed down by a Cook County judge last week. The footage, which has been described as extremely graphic, was kept under wraps by the city of Chicago for more than a year. It is unclear whether its imminent release is the reason investigators have moved to charge Van Dyke, but city officials are hoping that the officer’s arrest will serve to calm the intense demonstrations that the video has been expected to provoke. The Tribune says it will be the first time in almost 35 years that a Chicago police officer has been charged with first-degree murder for killing someone while on duty. News of the charges against Officer Jason Van Dyke, who is white, arrives amid an intense national debate about the frequency with which police officers choose to use deadly force against black civilians. The video, in which Van Dyke can reportedly be seen shooting McDonald over and over as he lies prone on the ground, has been described by people who have seen it as extremely disturbing and difficult to watch. Its release has been widely expected to provoke protests in Chicago, and the city has been bracing itself for unrest for the past several days. An account of the incident provided by a lawyer for the city holds that on the night McDonald was killed, Van Dyke was one of six officers responding to a call about a man with a knife who was allegedly trying to break into vehicles in a trucking yard. According to the city lawyer, officers had been following McDonald for about half a mile when the boy stabbed the tire of a squad car with his knife and damaged its windshield; he had ignored repeated orders to drop his knife when Van Dyke opened fire. A lawyer for Van Dyke has defended his client’s actions, saying the officer felt justified in shooting McDonald because he feared for his safety and that of his fellow officers. But a lawyer for McDonald’s family says the dashcam footage showed McDonald moving away from Van Dyke when the officer started shooting. None of the other officers on the scene fired a single shot, city officials have said. An autopsy found that McDonald “was shot once on each side of his chest and suffered single bullet wounds to the scalp and neck, two to his back, seven in his arms, one to his right hand and two to his right leg,” according to the Tribune. Van Dyke will be the 15th police officer to be charged with either murder or manslaughter this year for shooting a civilian, according to research by Philip Stinson, a criminologist at Bowling Green State University. Stinson’s research shows that between 2005 and 2014, the United States saw an average of just five officers per year facing such charges.